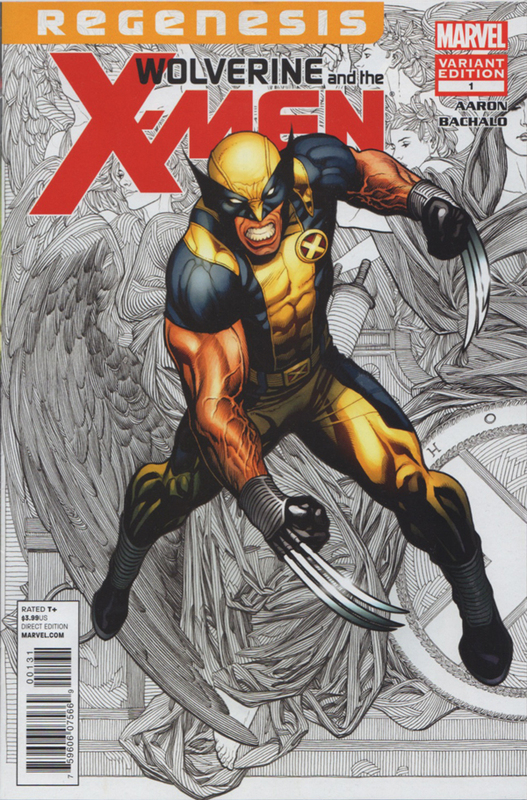 Wolverine and the X-Men #1 begins the story of Logan founding the Jean Grey School for Higher Learning on the grounds of Xavier’s. The story is presented as a tour of the facilities by the New York Board of Education and predictably everything goes wrong. Of course the actual things that go wrong are anything but predictable. Nearly every page introduces new situations that are honestly off the wall. The book brings a lot of humor and on its own merits is a good first issue. In the context of what’s lead up to its release, it borders on being too much of a divergence from where we last saw these characters. Since 2005’s House of M and the Scarlet Witch’s proclamation of “no more mutants,” the characters of the X-Men universe have been functioning as an endangered species with high stakes stories as they face extinction. 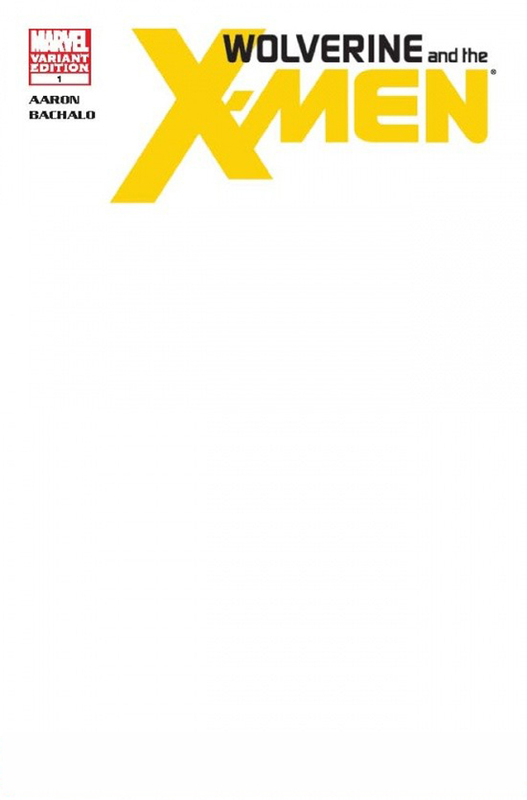 For the first time, the mutant race was united against their enemies and Schism brought all that to an end as Cyclops and Wolverine could no longer see eye-to-eye on how to handle the youngest generation of mutants. Wolverine’s school is his effort to give young mutants a choice in the direction of their lives as soldiers or students. I like the effort to take some of the heaviness away, but it honestly took me by surprise. 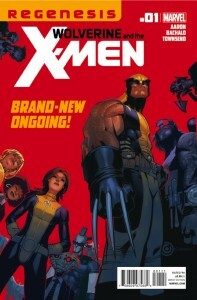 “No more mutants” also limited the creation of new characters in the X-Men’s world and it’s a change I appreciate. 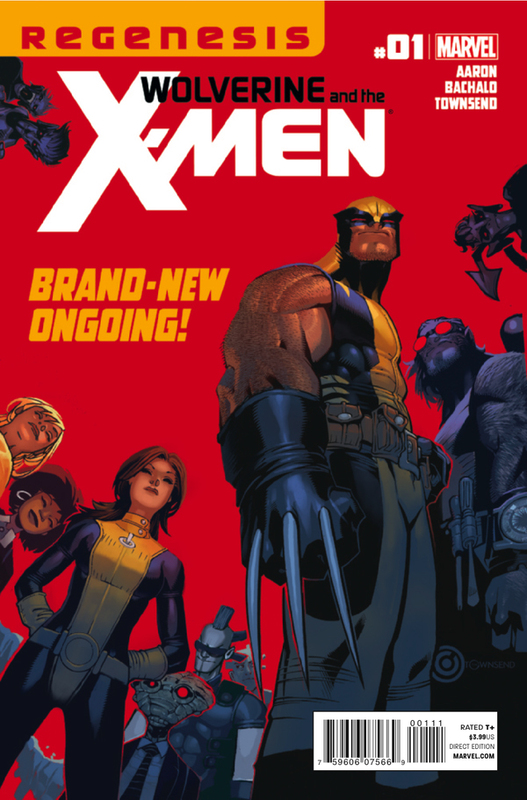 It has made for more compelling introductions to the X-Men like Hope Summers, but Wolverine and the X-Men #1 spotlights some new characters that are a tough sell. A mutant Broodling named “Broo,” who lacks the murderous impulses of his kind, and Kid Gladiator, son of the Shi’Ar’s Gladiator, are enrolled as students and it may have been a bit too much for issue number one. The X-Men have too many great characters in limbo to just throw in two new aliens and another “Kid” anything alongside Kid Omega here. Chris Bachalo’s incredibly detailed art is perfect for the madcap nature of what’s going on within the school’s walls. His style tends to be very polarizing with fans, and his work here is very much in line with what’s come before. Personally, I can’t get enough of it, Bamfs and all. Even if it runs a bit sillier than I’d like. It’s very reminiscent of his work on Generation X given the focus on the school and its students, and the tour gives him a chance to put everything on display. I really appreciated Bachalo’s rendering of the visible split between old and new elements of the school’s design and the shot of Wolverine walking past the statue of Jean was a nice touch. 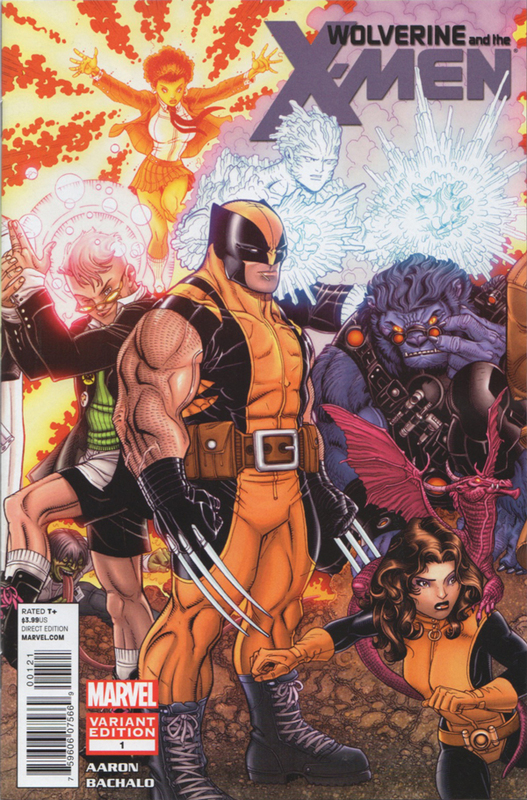 The tone of the series is something I’m sure to get used to and Kade Kilgore and his new Hellfire Club, the villains of Schism, have already made an appearance putting all the cards on the table regarding their plans for Wolverine and his school. Seeing the headmaster threaten a child with violence at the hands of his students did seem a bit at odds with Wolverine’s philosophical stance regarding the mutant youth. The story ends on a visually stunning note with a giant creature rising up from beneath the school grounds to devour everyone. I’ll certainly be around for issue #2 and beyond, but I’m worried this new threat is Kid Krakoa there to enroll in classes.